Amidst the multitude of vloggers, video game reviewers and videos showing cats playing the keyboard, the explosion of “viral videos” in the 21st century has also provided a uniquely, and often overlooked, source of social commentary regarding our public spaces and their preservation. It could be argued that, as a result of this niche market in the streaming sphere, where hundreds of thousands of videos are uploaded daily, public administrators and planners are now able to incorporate a new perspective into their catalog of qualitative knowledge that can ultimately influence more significant organizational decision-making. Following the trend line of technological transformation in the private sector and, generally, a desire for such among the cultural zeitgeist, it’s important that public service leaders are able to progress in the type of tools they use in an effort to make budgetary and/or procedural choices for their constituents. Acknowledging the diverse perspectives of the public, and often becoming refreshed on the history of a particular space through the aforementioned medium, can help to better provide the service that the space is meant to offer. One advantage in the era of internet videos is the equal accessibility of those sources by academics and the general public; both view the same video, but often from varying perspectives and with differing intentions. For some, it may be personal to a space they regularly utilize. For others, it could be a glimpse into the way of daily life of those halfway across the world. For academics and administrators, these videos can provide a snapshot of a select place in a given moment. They can become ever more informative throughout time as the methods of video-making innovate. One example of this focuses on a specific aspect of the transportation sector on the municipal level. 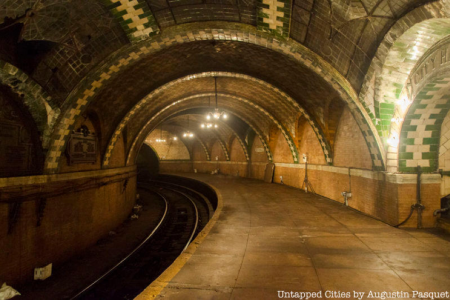 In 2011, Steve Duncan, a well-known urban explorer, traversed the subway tunnels and sewer systems of New York City in a video entitled, “Undercity.” Following its upload, this video, in its own way, has since gone viral. Despite the legality of such explorative adventures, Mr. Duncan, in this video, provides the historical groundwork to understanding why certain subway stations in the New York were constructed decades ago, why officials have since allowed them to become disused and abandoned and how that impacts current public transportation policy. On the surface, these types of videos simply seem enjoyable from a public consumption perspective. However, for public administrators, they can help in framing prior policy decisions and provide the rationale for those decisions. They can also offer renewed focus on areas that have since been neglected, and possibly illustrate a starting point for future policy discussion: Why don’t we have the financial resources in this budget cycle for sustainable redevelopment within this sector? Is renewed revitalization, in the future, possible? Is this something that citizens would want or is there even a need for such urban renaissance? If not, what other mixed-use purposes can we possibly gear this space toward? Another video that offers a more lively commentary on the same subject of the New York City subway system, is a video entitled, “The WORST Subway Stations in New York City!” by YouTuber, TheTravelingClatt. This video has garnered over 90,000 views since it was uploaded in February 2019. While it’s just one of hundreds of examples of other similar videos examining the same viral content, it can nonetheless be viewed through an analytical lens. The creator of this video, citing a Complex Magazine article from 2012 on the same topic, travels to several stations across New York City including Chambers Street, Dyckman Street and the 191st Street stations. While articles and videos with titles similar to the above mentioned can, understandably, be seen as offering criticism of New York, its administrators and their priorities, these kinds of media should be viewed as a source of potential collaboration rather than neglected consternation. TheTravelingClatt’s video, for instance, highlights what commuters consider to be some of the worst visible blights observed during their daily travels. While we, as administrators, understand the greater nuance connected with remedying superficial, as well as underlying, infrastructure issues, it’s still important to ensure we’re not overlooking what may be a glaring concern that is at issue with the larger citizenry. These insights may derive from a wholly unprecedented source. But in the growing age of technological interconnectedness and renewed reflection toward the past, it is paramount that current administrators are willing and able to utilize such mediums in creative brainstorming processes to best serve their constituents.